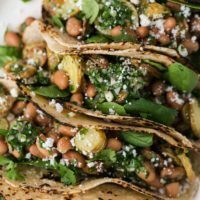 Chimichurri Potato Tacos with Pinto Beans | Naturally.Chimichurri Potato Tacos with Pinto Beans | Naturally. A quick and filling vegetarian taco, roasted fingerling potatoes and pinto beans are tossed in a fresh, homemade chimichurri sauce. Gluten-free and easily vegan by omitting the cheese. Heat oven to 400˚F. Cut the fingerling potatoes into ¼” thick slices. Toss with olive oil and spread into a single layer on a sheet tray covered with parchment paper. Roast until tender and browning, 30 minutes. While the potatoes are roasting, combine ingredients for chimichurri sauce in a small bowl. Whisk together until well combined. Once potatoes are done, combine with pinto beans and ¼ cup or so of the chimichurri. Stir until the beans and potatoes are well coated with the sauce. Heat the tortillas in a damp tea towel in the oven or over an open flame on a gas stove. 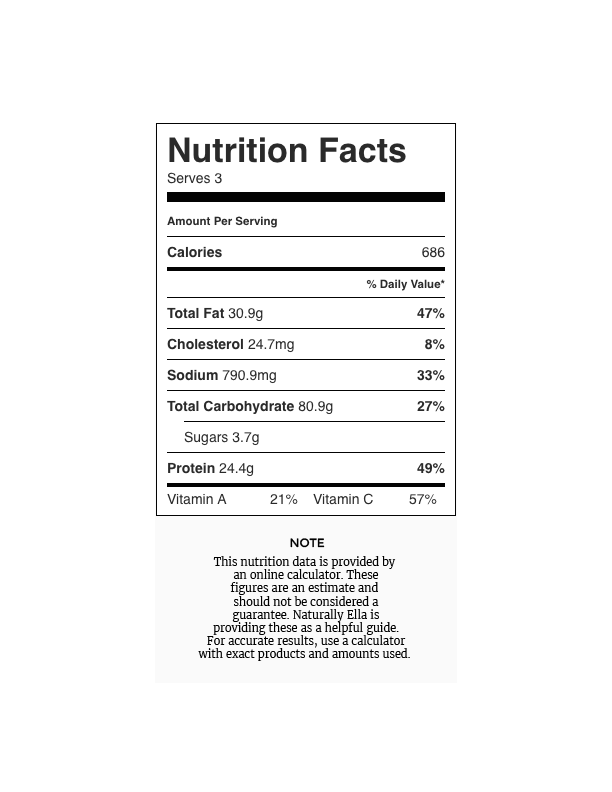 Assemble the tacos with a layer of spinach, a few spoonfuls of the bean mixture, a tablespoon of crumble cheese, and extra chimichurri as desired. Tips & Tricks: Don’t want to mince all those ingredients for the chimichurri? You could combine all the ingredients in a food processor or blender instead.